Emergency rooms errors are medical malpractice. Victims and their families do not always realize that an error or malpractice was involved because we normally only go to the emergency room for a sudden and life-threatening problem. It can be difficult to distinguish an unavoidable poor outcome from injury or death caused by an error in the emergency room. An experienced emergency room error attorney can help you determine whether your injury was caused by malpractice, and if so, he can help you prove it and get the compensation you deserve. The emergency room is often a very rushed and crowded environment. Patients may have very long waiting period before getting treatment and then may be given very little attention and feel neglected and even insulted by the behavior and attitude of emergency room staff. To a certain extent, that is just the nature of emergency rooms, but all too often it goes beyond acceptable and results in avoidable injury or death to patients. Emergency rooms are high stress environments for doctors and staff. The situations they have to deal with are unpredictable from moment to moment. On a busy night it can be overwhelming. 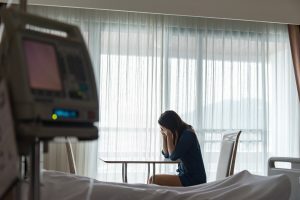 Losing patients can be emotionally draining, to say the least, but they must press on for the rest of their shift and return the next day to face more of the same. When you face a legal problem, your best source for help is a capable attorney. You want to make sure the lawyer or law firm you hire is qualified to represent you with your particular problem. The law can be a very complicated matter. You don’t have to go it alone. Find the right attorney for you! If you believe that your injury is the result of a surgical mistake, please contact us call us today at 1-877-LOSS RECOVER (567-7732)! 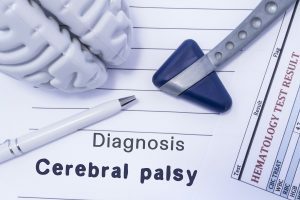 Can Birth Trauma Lead to Cerebral Palsy? Do You Have a Birth Injury Medical Malpractice Case?